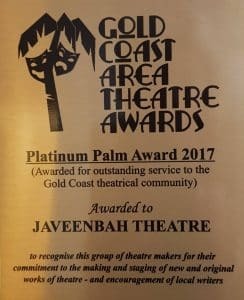 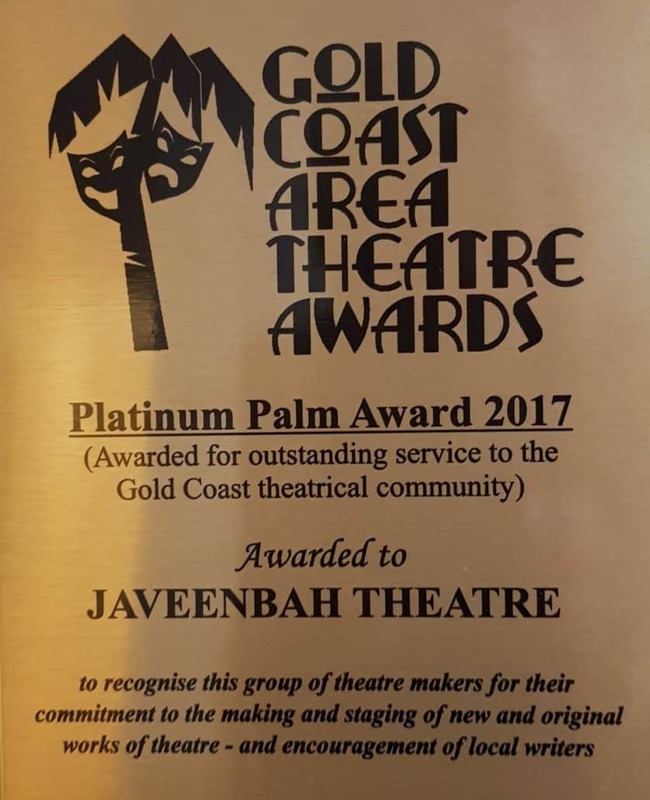 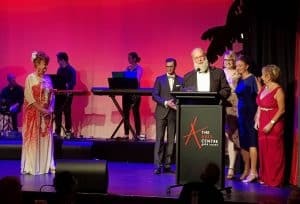 At the 2017 Gold Coast Area Theatre Awards, Javeenbah Theatre was presented with The Platinum Palm Award . . .